7-KETO® Vegetarian Capsules from Healthy Origins® could prove beneficial for augmenting metabolism levels in your body and maintaining proper weight. 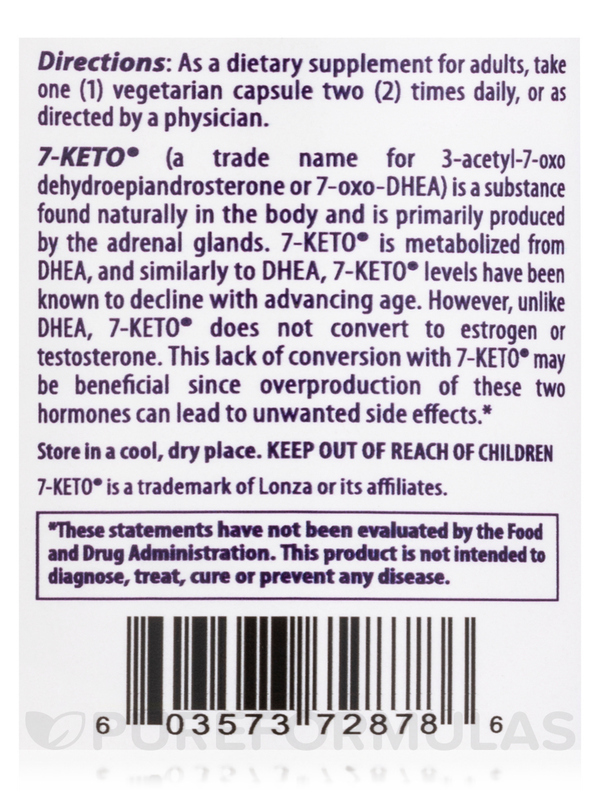 7-Keto-DHEA (dehydroepiandrosterone) is a hormone produced by the adrenal glands. 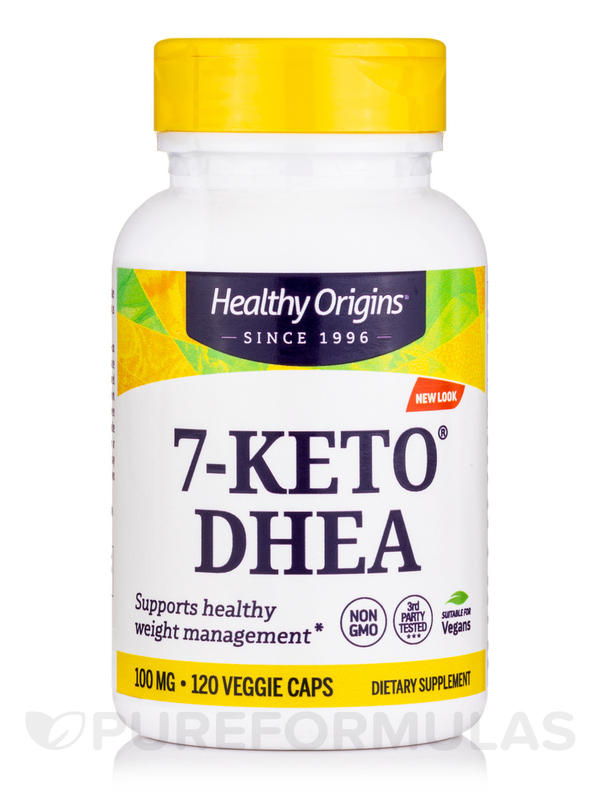 7-keto-DHEA does not convert to androgen and estrogen like DHEA does. Therefore‚ this property might turn out to be beneficial because over production of testosterone and estrogen could have side effects. 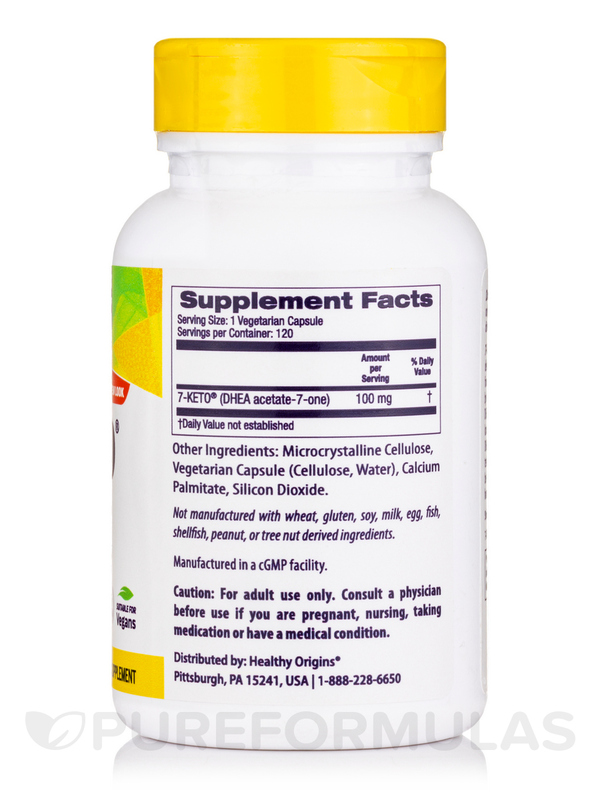 These capsules from Healthy Origins® may speed up metabolic rates in the body. When the metabolic rates increase‚ you might end up losing more weight. 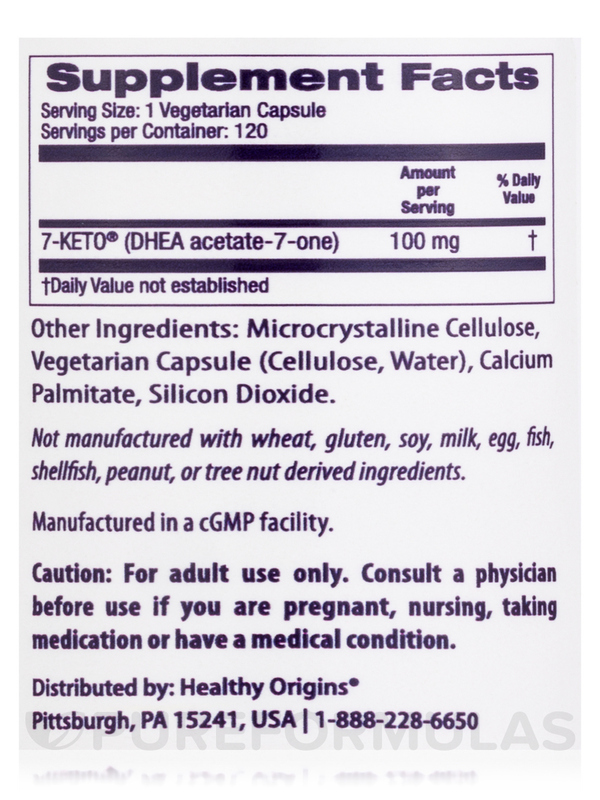 These tablets contain 7-Keto® (DHEA acetate-7- one) which may improve lean mass in your body. It could help in building muscles and streamlining the production of thyroid hormones. Thyroid hormones play a major role in controlling your body weight. These tablets could help you enhance memory power. They also seem to slow aging and inhibit wrinkles on the skin. 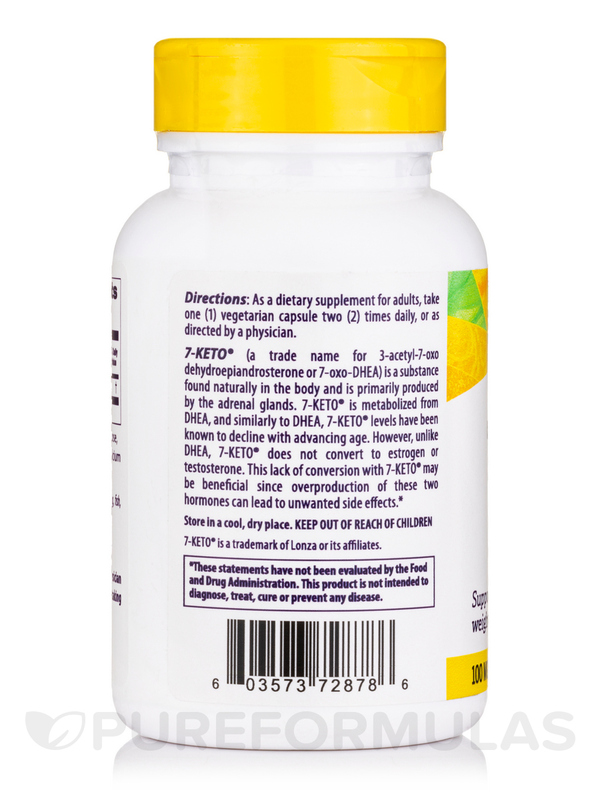 7-KETO® Vegetarian Capsules from Healthy Origins® might come in handy to streamline your body’s metabolism. As a dietary supplement for adults‚ take one (1) vegetarian capsule two (2) times daily or as directed by a physician. If you are taking prescription medications or have a diagnosed medical condition; please contact a physician before using this product.